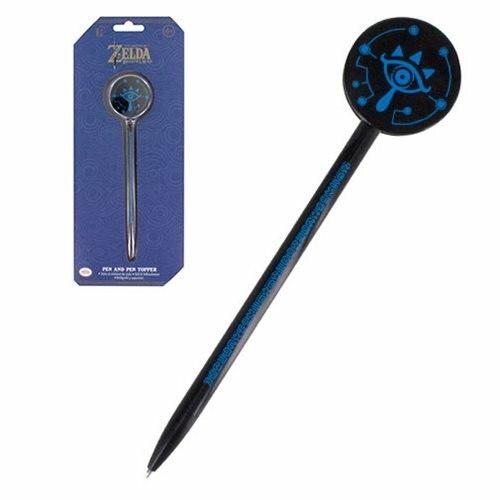 Celebrate the Legend of Zelda with this The Legend of Zelda Sheikah Eye Pen! This beautifully designed ball point pen features a Sheikah Eye symbol pen topper. Inspired by the iconic symbol as seen in The Legend of Zelda: Breath of the Wild video game. The Sheikah Eye is an important symbol for the Sheikah race or Shadow Folk in the popular series of games. Ages 6 and up.